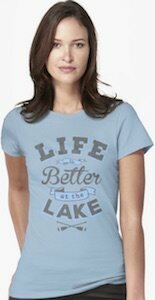 Now there is this Life Is Better At The Lake T-Shirt that tells everyone that sees you what is on your mind. This women’s t-shirt is available 18 different colors and in sizes Small – 2XL. On the shirt is simply says “Life Is Better At The Lake” and it is put on the shirt in a fun ways with different fonts and banners and there are some paddles for your boat too. If you never want to forget about the lake life then always wear this t-shirt when you are away for the best place on the planet and yes that means that sometimes you have to hide it under other clothing if you have to dress up. 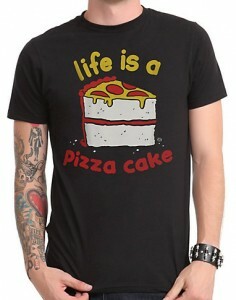 If candy is what makes your life sweet then you just need to get this life is sweet candy t-shirt. 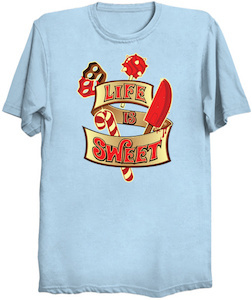 On the t-shirt, you can find some cool banners that have a candy wrapper gold background color and on it, you find the text “Life Is Sweet” and around the banner you can find lots of candy including a candy cane. 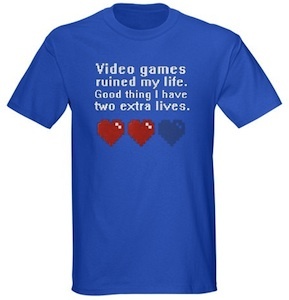 So if you are sweet and think your life is sweet then you want this t-shirt and you can get it is many fun colors and it comes in styles for both men and women and in sizes Small – 6XL. We all know that we need technology for so many things but we kinda realize without it would be nice to and that is why you want this t-shirt. 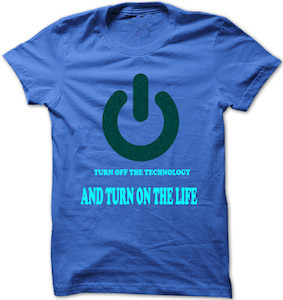 On this t-shirt, you can see a big power button and below the button, you can see the text “Turn Of The Technology And Turn On The Life” and I am sure that you also think that could be nice once in a while. We don’t always have to be engrossed in technology sometimes putting your hands in the dirt or your feet in the forest can make you feel alive again. 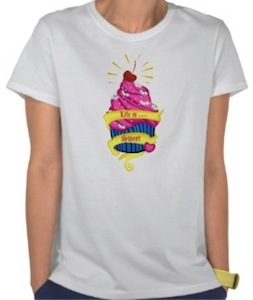 This t-shirt has a cupcake on it with some yummy super sweet icing on it and on top a cherry. And over that lovely cupcake it says “Life is Sweet” and with a desert like that it sure it. This fun and sweet t-shirt comes in a wide range of styles, colors and sizes for the whole family. Come check out all the options of this Life is Sweet T-Shirt.